Smith, John Noel (b. 1952), painter. The art critic Aidan Dunne begins an essay on John Noel Smith with the sentence, ‘John Noel Smith is a brilliant painter’. The words are startling because they are so untypical of this normally reticent writer. They point correctly to two things: Smith’s technical skill, and his concentration on the visibility of painting, not as a vehicle to represent something else but as an element in its own right, capable of infinite expression and variety. Smith’s ability to constantly develop his repertoire purely within the language of painting marks him out among abstract painters (see ‘Abstraction’), not just in Ireland but in a wider context. 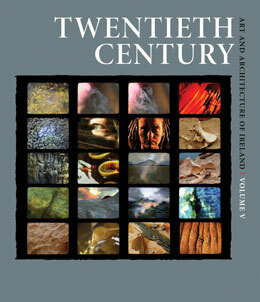 Twentieth Century Art and Architecture of Ireland – Volume V.
Dublin – New Haven – London: Royal Irish Academy and The Paul Mellon Centre by Yale University Press. 2015.